Kalthoff Luftfilter und Filtermedien GmbH is your partner for filter technology. With the second entrepreneur generation, our owner-managed, medium-sized company has established itself worldwide to one of the leading specialists in high-quality airfilter products and services. We have been preparing ourselves for this market position for many years. With competence and commitment, with unique product developments and a flexible team, which makes everything possible for our customers. And that is just the beginning. Sustainable growth as well as the passing on of knowhow and responsibility shape the actions of the Managing Directors Dr.-Ing. Henrik Badt and Rainer Kalthoff. With a view to the future, Kalthoff strives for a long-term development in order to master future challenges today as well as tomorrow and to be on hand for its customers as a reliable partner. In this year, the company Engelbert Kalthoff Luftfilter und Filtermedien is founded as a partnership. This is the foundation stone for a dynamically-growing company of the filter sector, which even today still uses the initials of Engelbert Kalthoff in its logo. Following years of a long development phase, we can launch our first panel filter on the market. The pleated V-type underlined our capability for innovation and helps to win further market shares. As a result of the success of our innovative filter products, the business development of the company is very positive. 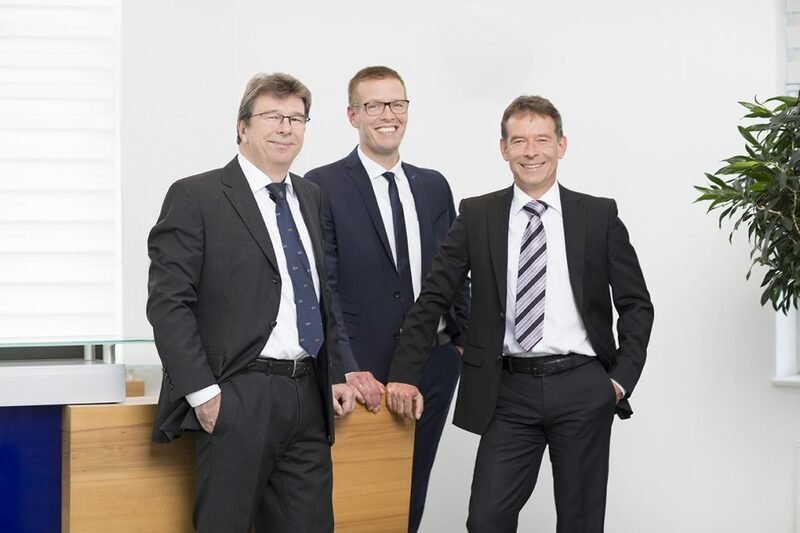 After the entry of the forwarding agent Mr Rainer Kalthoff, a cross-generational perspective opens up for the company, so that a transformation into the existing Kalthoff Luftfilter und Filtermedien GmbH takes place. In order to further adaption to the market, the production capacities are extended continuously. A new, larger site for our modern production plant is opened in the industrial area of Bork. In this year, the marketing competence, and at the same time the management of the company, are reinforced. Kalthoff Luftfilter und Filtermedien GmbH appoints Hans-Joachim Badt as a further company shareholder and managing director. Jointly with Dortmund University, a research project is begun with respect to synthetic, deep-bed filter media and concluded successfully by the end of 1992. The Federal Ministry for Research and Technology supports this cooperation with cash funds. Mr Dipl.-Ing. Henrik Badt receives a doctor’s degree by Prof. Dr.-Ing. Udo Werner at the chair of Mechanical Engineering and subsequently joins the company. The development work on our high-performance products is an ongoing process. In this year, we can launch a new high level of technical performance, the fully-synthetic MULTIFOLD Pocket Filter. Our technology is always one step ahead in the exploration of progressive depth filtration. In 1999 we receive a European patent for our multi-layer, synthetic, composite nonwovens. The Kalthoff company continues to grow and natural changes occur over the course of time. With Rainer Kalthoff, the second generation of the company gets its start, where many new possibilities for innovations are opened. From now on Mr Kalthoff concentrates on the financial side of the company. Once again the management of the company changes. It is taken over by Dr.-Ing Henrik Badt, who succeeds his father in this position. The new managing director is committed particularly to the technical side of the company. A strong, globally-active, medium-sized company develops from this small manufacturing company. This year we exceed the 100 person limit for the first time. In 2003, a foresighted planning directs the company expansion. So that future development does not stagnate through lack of resources, the ground area is extended to a generous 40,000 m². In the course of the expansion of the company, the product development sector also became increasingly larger and more important. As successor to our first pleated V-type panel filter, our engineers develop the fully-synthetic panel filters WU and RELIM with FIBERPLAST frames. Not only individual requirements of our customers shall be attended to. From this time, standard goods can also be called up at all times. The constant personnel increase results in the introduction of a two-shift operation. In order to realise the large product range of variation and to satisfy the high demands of our customers, the production facilities are extended. As well as the bag-type filters and panel filters, the extension of the compact filter sector shall also not be left wanting (for high-quality HVAC use extending to cleanroom technology). For this reason, we launch the fully-synthetic compact filter. The standard EN779: 2012 is relevant also for our company. In order to meet the demands and to guarantee the highest level of quality for our customers, we open our filter laboratory this year. Cooperation within the working group and current subjects are of high priority with our company management. Sector interests are being discussed and pursued in company-wide meetings in this case. On the agenda are always strategically aligned problem definitions, which can also include aspects important for policy work. COMPOPLUS® is the quality brand of Kalthoff. This year the progressive filter assembly is again improved and adapted to the new standard. In this year, the automated series production of HEPA filters and compact filters can start. These filter types which are made of grass fibre media provide maximum security in cleanrooms. For the manufacture of products we located a proper production area, separated from the manufacture of panel filters. For the purpose of quality management, this production is based on bill of material. Within 12 years, our staff has doubled. In this year, more than 200 employees work for the company. And the development continues apace. The Dortmund Chamber of Industry and Commerce nominates the best companies regionally and designates Kalthoff Luftfilter und Filtermedien GmbH “The Best in the West”. The company is growing continuously and so does the variety of tasks. The Management is facing increasing challenges. As a result, Mr. Holger Bornemann has been supporting the Management since December 3, 2015 by the power of procuration with sole signature rights. In addition, Mr. Bornemann will head the new logistics area of responsibility. He will continue his position as a Purchasing Manager as well. Opening up new business areas is important to us. UNIFE represents the interests of more than 80 medium-sized and large companies in the railway sector. We are involved intensively in the work group of the medium-sized companies (SME).